This development is fully sold out. For other nearby residential opportunities, take a look at Trinity Square; a superb office conversion containing studio and one bedroom apartments, just moments from Hounslow’s high street. Central House in West London’s Hounslow successfully sold out in both its first phase in 2014 and its second phase in 2016. The first phase of this ultra-modern development comprised two apartment blocks, designed around communal landscaped inner courtyards, whilst the second phase, ‘The Terrace Collection’, saw the addition of 25, one and two bedroom apartments with private terraces and finished to Galliard’s reputable high standards.Residents of Central House benefit from private, double-height entrance foyers and lift cores to each block, whilst the ground and first-floor levels also accommodate extensive and secure car parking facilities. Each apartment boasts a sleek design that ideally caters for 21st century living with an array of exceptional features, including a chic, designer kitchen with fully-integrated appliances, guaranteeing the ultimate comfort and luxury for each resident. Strategically located in Hounslow, Central House is just a two minute walk from Hounslow Central station, which is served by the Piccadilly line. Heathrow airport is also reachable in as little as 10 minutes, which is perfect for ambitious professionals who are frequent international travellers. One of the major benefits of investing in West London’s Hounslow is that its neighbouring town of Hayes will be proudly introducing Crossrail in 2018 which will slash journeys into the capital profusely. Hounslow is an asset to West London as it boasts a multitude of qualities which make it an appealing destination for commuters and families alike. Its fantastic travel connections and thriving corporate district make Hounslow increasingly appealing for young professionals, especially as various major headquarters, such as the distinguished financial company GE and pharmaceutical giant GlaxoSmithKline are based here. Families and first-time buyers are allured by the district’s regeneration improvements, including the high street’s major renovation scheme which started in 2013 and is due to continue with further plans that will enhance the area. In addition, the phenomenal green space of Hounslow Heath is one of the town’s most pleasant assets which is ideal for allowing families to enjoy the great outdoors together. 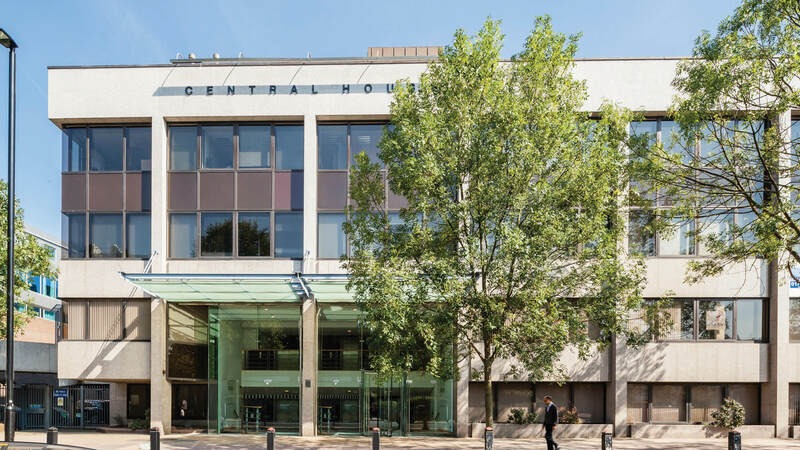 Central House boasts close proximity to Underground and mainline connections, allowing quick and convenient access into the heart of the capital. Hounslow Central Underground station in Zone 4 is just a two minute walk away and offers Piccadilly line services, whilst Hounslow mainline station is a 12 minute walk from the development. Hounslow will also be close to Crossrail connections when it is introduced into the neighbouring area of Hayes at Hayes & Harlington station.